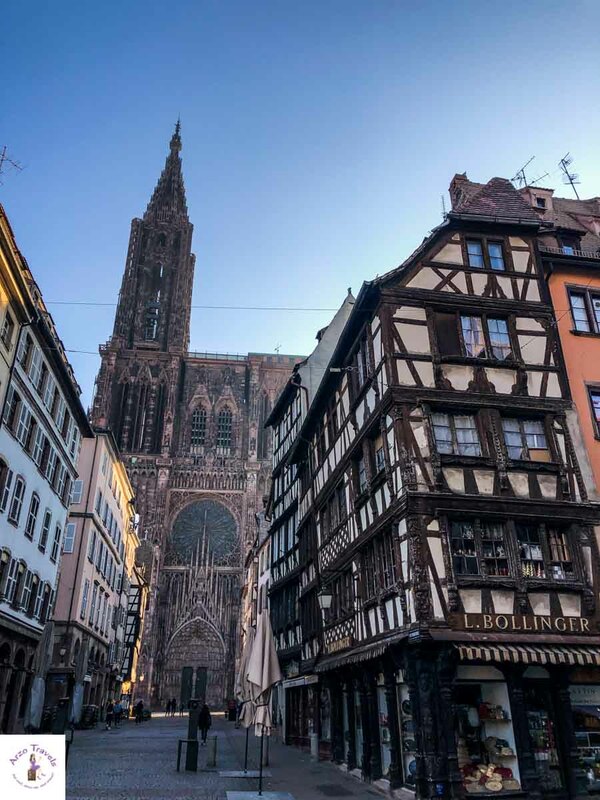 I cannot remember how long I have wanted to visit Strasbourg – I just know that it was even before Instagram inspired me to visit certain destinations. 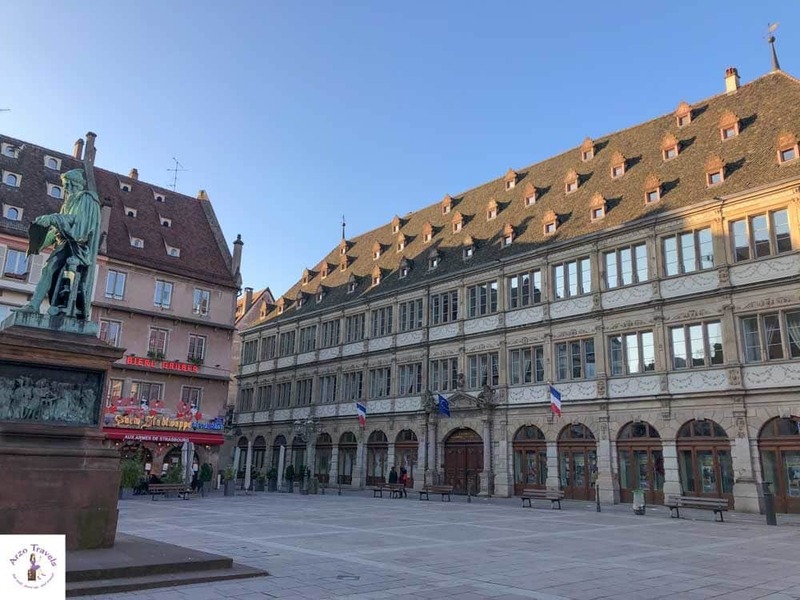 I knew that I had to visit the capital of the Alsace region in northeast France, which is a mix of Germany and France and seems to be a combination of the best of both countries. 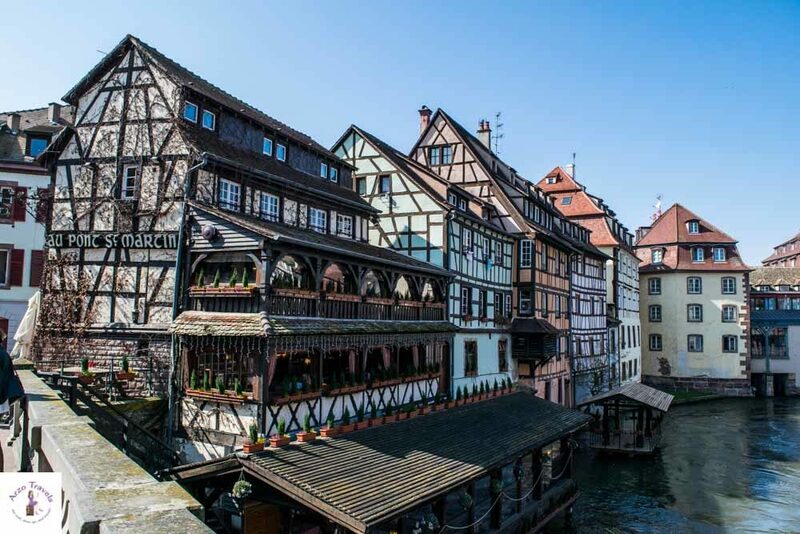 What intrigued me most were the colorful, half-timbered houses and the medieval feel of the city, and I am sure this is also what comes to your mind first when hearing about Strasbourg as a travel destination. 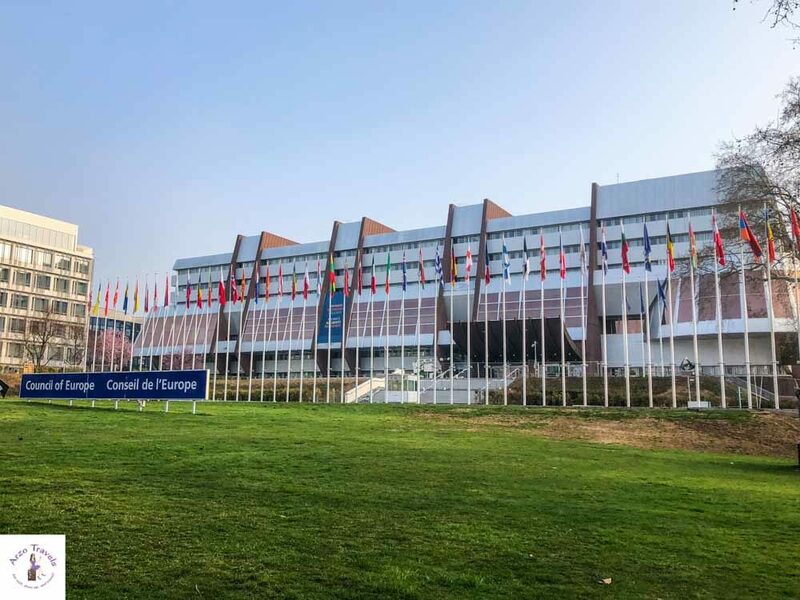 Also, as someone who studied Politics as a major, I was interested in Strasbourg because it is known as the European Capital – it is home to several EU institutions, like the European Parliament and the European Court of Human Rights, and thus, is of major international importance. But now, after visiting, I know there is more to do and see than just the pretty houses and political institutions. 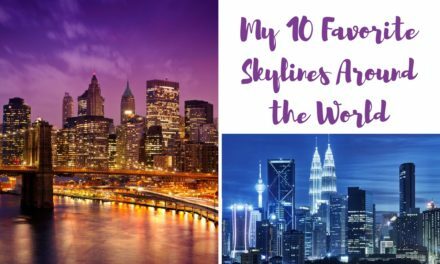 Okay, before I spill the beans, let´s first talk about the best travel tips for the city and then I will share my favorite spots in the city: the best Strasbourg attractions, the best places to see, and the best things to do in one or two days. While I think that Strasbourg is so pretty you could spend several days there, I know most of us only have one day in Strasbourg. 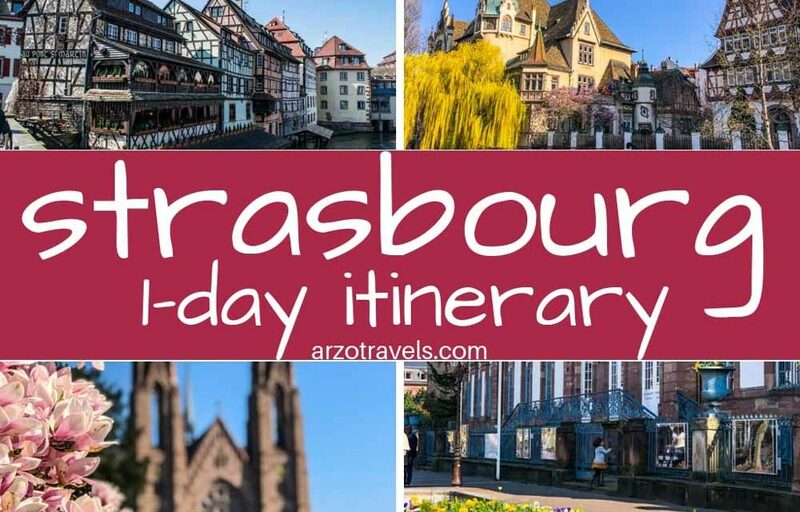 So, I have created a one-day itinerary, but I also have more tips so that you can enjoy two days in Strasbourg if you like. 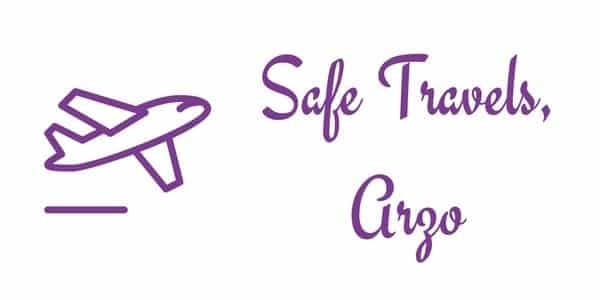 Strasbourg has an international airport – Strasbourg-Entzheim International Airport. It is about 10km from the city center (you could then rent a car, take a taxi, or take a train shuttle to the city center). Train station – There is a main train station (Gare) that is close to the city center. From Paris, it takes less than 2 hours via the high-speed train (TGV). By car – I arrived by car. I drove most of the time on German highways and only crossed borders close to Karlsruhe to avoid possible tolls in France. Parking is a bit tricky, though there is paid parking. I think that getting here by car is not the best idea (unless you do a Alsace Wine Route tour) because you will not need it often, so you will probably be better off arriving by train. Strasbourg is very walkable and most sights are located at Grand Ile (old part) and Petite France. Tip: For around 5€, you can rent audio guides and get information on each main attraction. 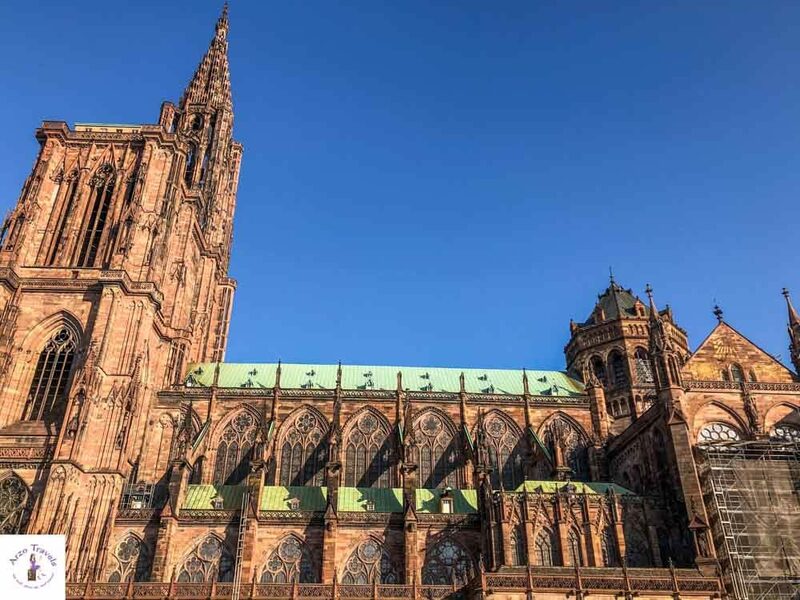 If you’re visiting other parts of Strasbourg (if you want to see the institutions of the European Union or if you prefer less walking), you can buy a ticket with unlimited tram and bus trips, valid for 24 hours (€4.30). I did not use public transportation, but to my knowledge, it is good, on time, and definitely not expensive by European standards. You can also rent bikes for only $5 per day (you will see a lot of rental bikes in Strasbourg, so it is definitely a good way to get around). There are also segways to rent, and boat tours (batorama) are a popular means of seeing Strasbourg from the water. There is a mini sightseeing train that shows you some parts of the old town (it costs around 7€, with reduced prices for groups and people under 15 years of age; free for kids under 6). It takes about 40 minutes. 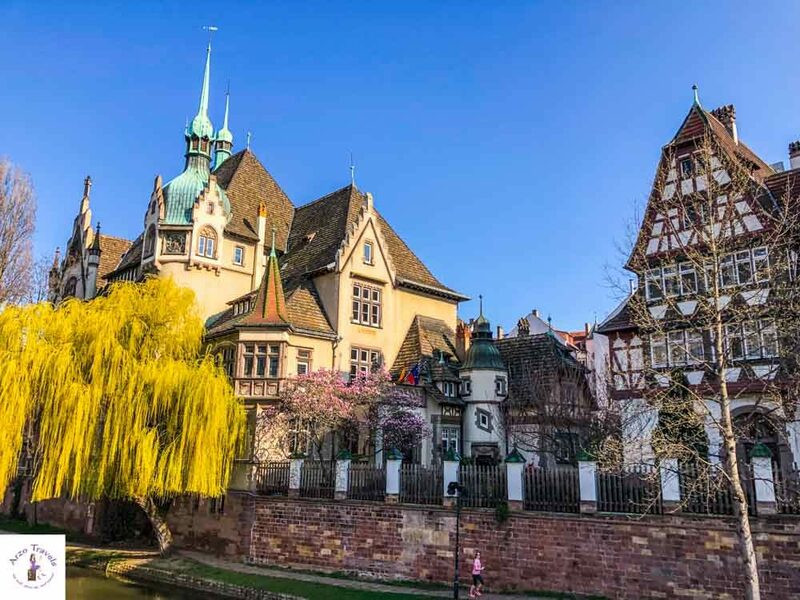 Since I have visited Strasbourg only once, I cannot give tips for each month of the year, but what I know for sure is that visiting at the end of March is a good time. 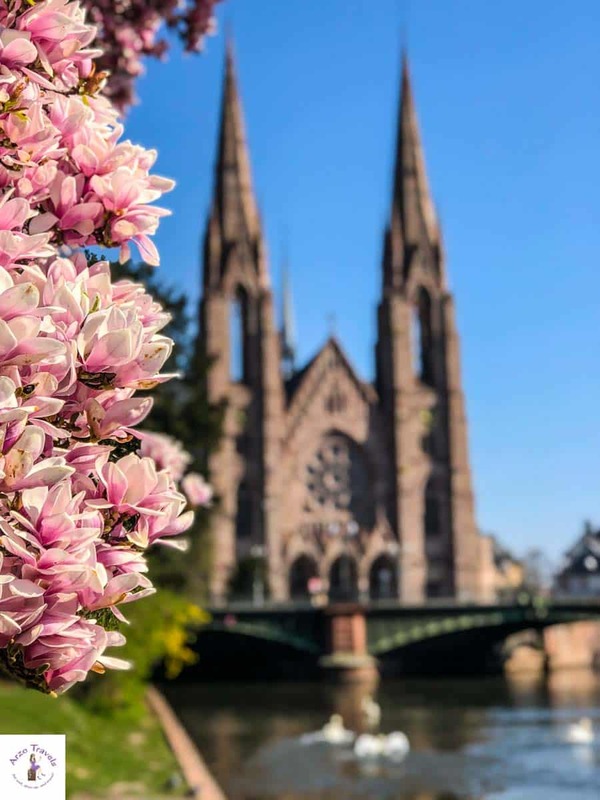 Strasbourg in spring is charming and absolutely gorgeous, with magnolias and blossoms everywhere you look. I think that April would have been even better though because it is probably even greener. So, my tip is to visit Strasbourg in the spring – we can be sure with the weather, but spring is magical in Europe. It gets busy, but not crowded. You do not have to fight your way through all the other visitors (and believe me, Europe in the summer can be crazy). Also, prices for accommodations are lower and it does not get as hot and sticky in spring. Strasbourg is also known for its Christmas Markets – so the first few weeks in December would also be a good time to visit. 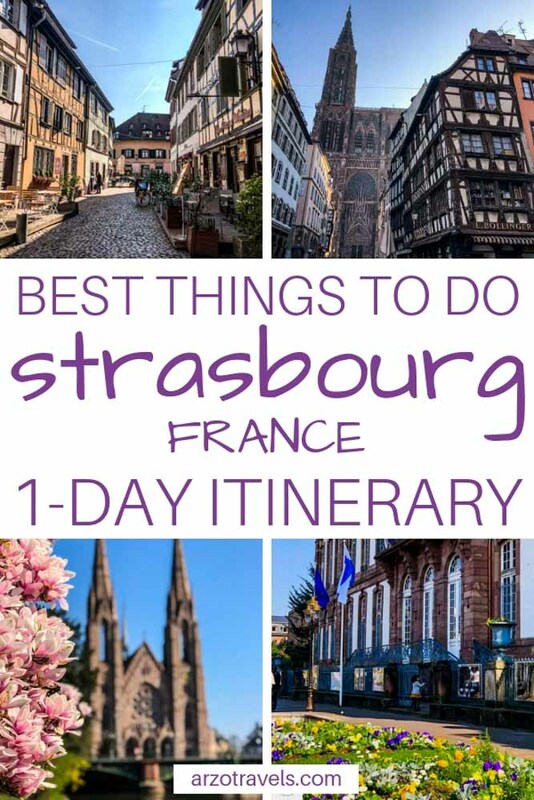 Okay, now it is time to talk about the best things to do in Strasbourg and about your 1-day Strasbourg itinerary (or two-day itinerary, if you are lucky enough to stay longer). 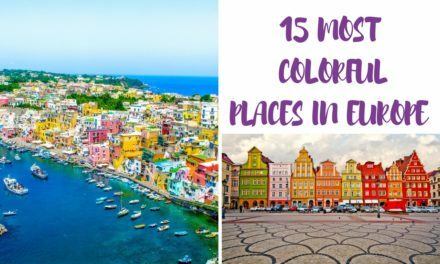 The pretty, pretty houses in La Petite France, which date back to the 16th and 17th centuries, are a treat for the eyes. You can get wonderfully lost here and enjoy the gorgeous architecture. Back then, fishermen, millers, and tanners lived and worked in this part of town where the streets were built level with the waterways – just adding more beauty to the lovely houses. 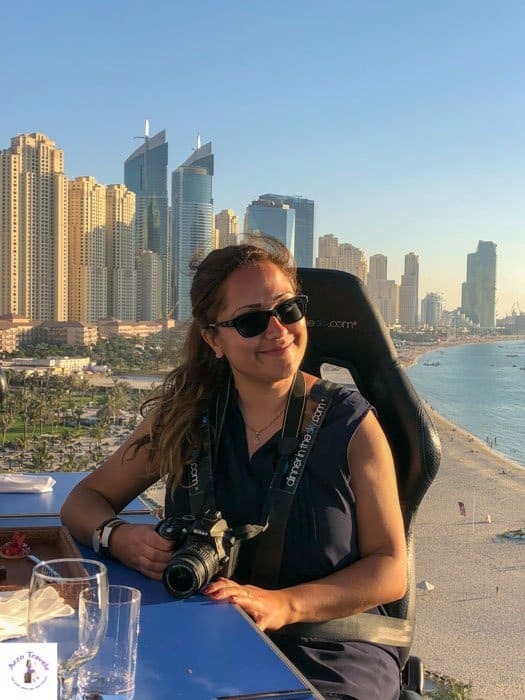 Besides wandering for two or three hours, I also recommend visiting Ponts Couverts and Barrage Vauban, which are also located in La Petite France. From Barrage Vauban, the weird-shaped dam, you can also enjoy nicer views for free. Just climb about 50 steps and you can enjoy the views from the terrace. No, they are not as mesmerizing as the view from the Cathedral, but they are still nice – plus, fewer steps and no entry fee. It really depends on your speed and how “lost“ you actually get, but I estimate that it will take you about 2 hours max. Even though there are a lot of shops and stores, I did not feel the need to spend more time there. There is a vegan restaurant – Velicious Bourger – where you can have vegan food (surely not the best vegan burger I have ever had, but definitely decent). From there, I suggest taking a lovely walk. This was actually one of my favorite activities in Strasbourg. While I was really lucky with the weather and it was sunny, but not hot, a lot of people flocked and “escaped“ the city to enjoy some “nature“ time. I use quotation marks because I don‘t really mean escape – the river is just in the city center. And there is no real nature, but it felt like a beautiful getaway. It was busy, but not crowded – the opposite of the old parts of the city. My tip: Take a walk from Petite France all the way to Pont d`Auvergne (which is about 2 km), but do not stop at Grande Ile yet. Along the way, you can make some nice stops and do as the locals do – enjoy some time out by the river. Then, slowly head to Grand Ile (which is about one km away). Again, it depends on your speed and the breaks you take, but I would plan in 45-90 minutes for this activity. Strasbourg is home to a UNESCO World Heritage Site, the island of Grande Ile, which is in the historic center of the city. You will find more half-timbered houses here, the symbol of the city, and a few more landmarks – one of which is, of course, the cathedral (Münster). 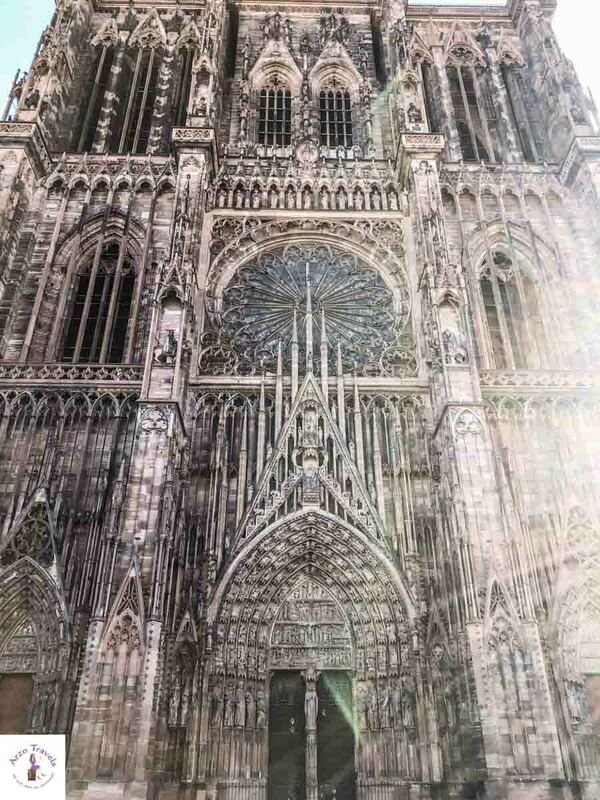 Like so many cities and towns in Europe, Strasbourg also has a beautiful cathedral that is a main tourist attraction. The cathedral is one of the most important monuments from the Middle Ages that still exists. It was completed in 1439 and reminds me so much of the Cologne Cathedral (except in Strasbourg, there is no crazy wind). Anyway, this Gothic masterpiece is mystical and impressive. 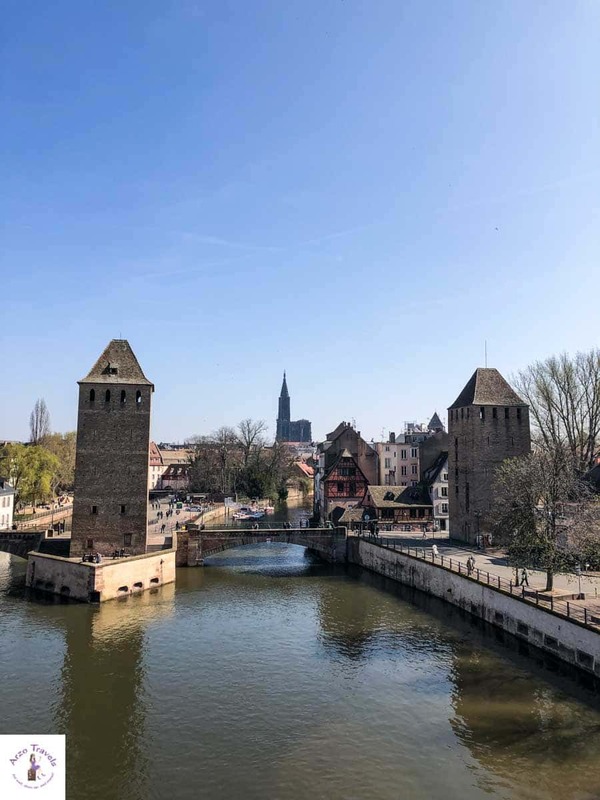 You can visit the cathedral and admire the beautiful interior, but you can also – you might know I have a thing for views – climb the tower and enjoy a view of Strasbourg from the top. Climb the spiral staircase (332 steps) for the panoramic view from the top of the platform, overlooking the rooftops of Strasbourg. On clear days, you can even see the Black Forest in Germany. Unfortunately, I did not get to do this because it is currently closed – the platform will open in July 2019 to visitors. As someone who is always on the hunt for great views, this was quite disappointing to discover at the tourism office. Tickets are around 4€ (there are reduced prices for groups, students, and people under 18 – kids under 6 are free), but do not forget that getting up there is a trek! You can also see the Astromomical Clock and buy tickets from Monday through Saturday (closed on Sunday). You cannot book in advance and need to buy and pick up the tickets from the cashier at the south doorway (11:30 am to 12:15 pm). Tickets are around 3€ (with reduced prices for groups and people between 6-18, younger kids are free). 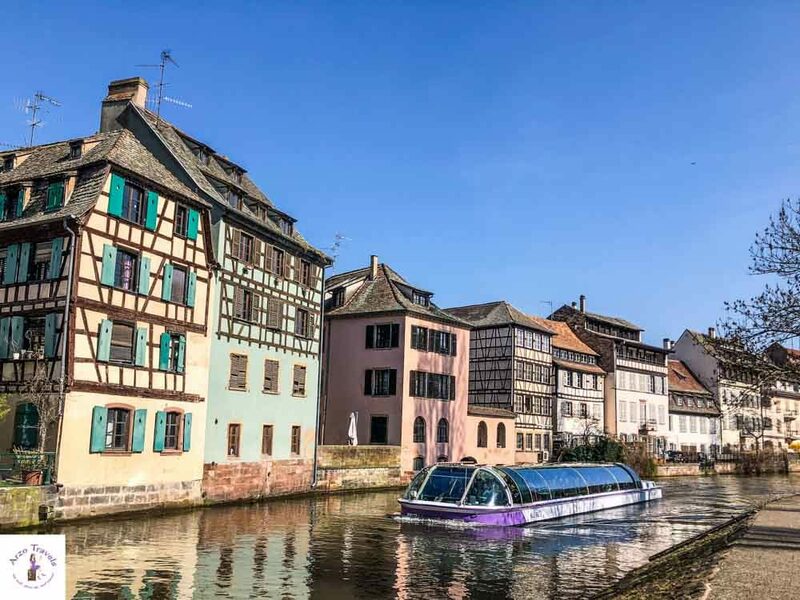 Yes, I know I have a thing for boats and being on the water, so it’s not surprising that a boat tour in Strasbourg is also on my perfect 24 hours in Strasbourg itinerary. 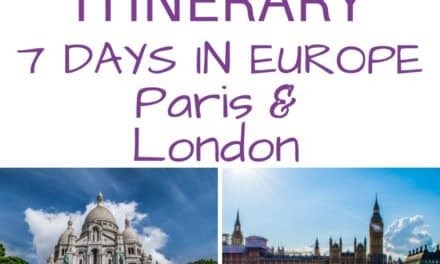 All year round, you can enjoy a 70-minute boat ride and see, among other things, the Petite France, the Covered Bridges, the Vauban Dam, the Neustadt imperial quarter, and the European institutions from the boat. Guess what? Even though I am such a boat tour fan, I had to pass this time – just because dogs are not allowed on the boats. A boat tour is free with the Strasbourg Pass. Otherwise, tickets are between 10.30€ (for shorter tours) and 13.50€ (reductions for people 4-12, free for kids under 4 years). You can buy tickets at the ticket shop near the cathedral (next to the Tourism Office). The tour starts near Cathedral Square. From Grand Ile, it is time to visit another gorgeous and fantastic sight – The Neustadt District. 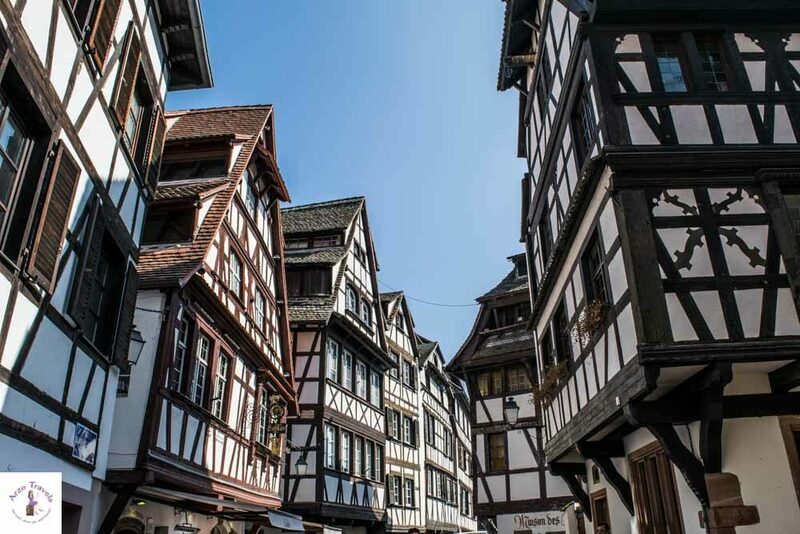 But before heading there, you will pass a few more lovely, fun, and lively places in Strasbourg. From the cathedral, head to Place Gutenberg first. It is just a few minutes walk and a main square in Strasbourg. Gutenberg invented the printing press and there is a statue in the middle of the square that honors him. 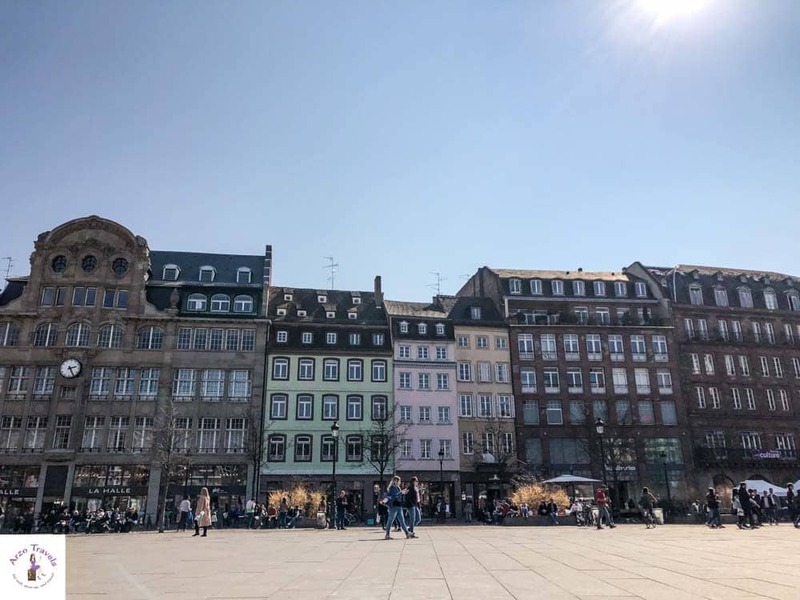 From Place Gutenberg, it is just a stone‘s throw to the very lively and busy square – Place Kleber. The square seems gigantic given Strasbourg´s quite small size, with less than 300,000 inhabitants. Like in all of Grand Ile, many cafes and restaurants are lined up here, but there are also enough seating options for those who don’t want to sit in a restaurant. This is definitely a place for people-watching. From there, you will slowly walk toward “Neustadt“ via Place Broglie or the Hotel del Ville. Another lovely and underrated place to see is the Hotel de Ville. This town hall that is located at the Place Broglie looks lovely in springtime. 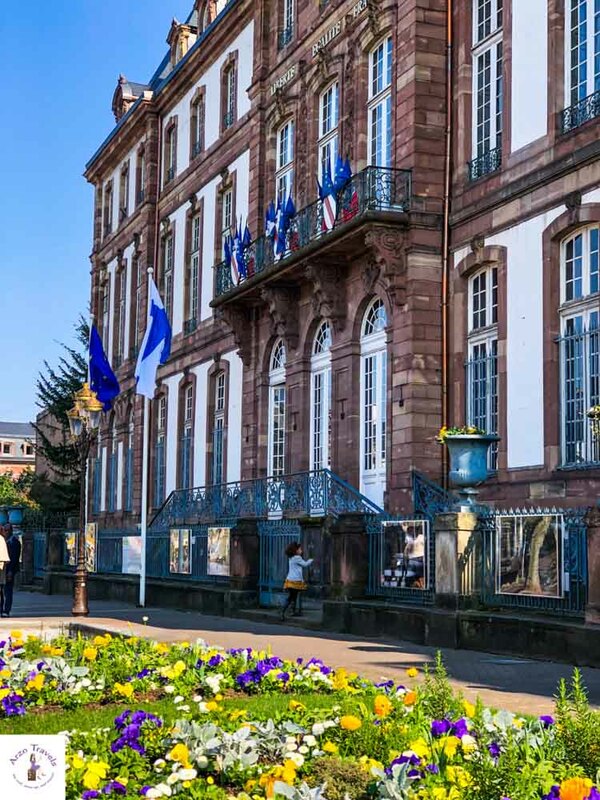 It was built in the 1730´s and it is the seat of the mayor of Strasbourg. The town hall itself is lovely – but so is the area, so this will be your route when heading to your next main stop. This area was built after the German annexation (between 1917 and 1918) and is completely different from the other areas you visited before. Though the old areas have their charm in spring, there are a few places that were absolutely gorgeous and highlights for me. 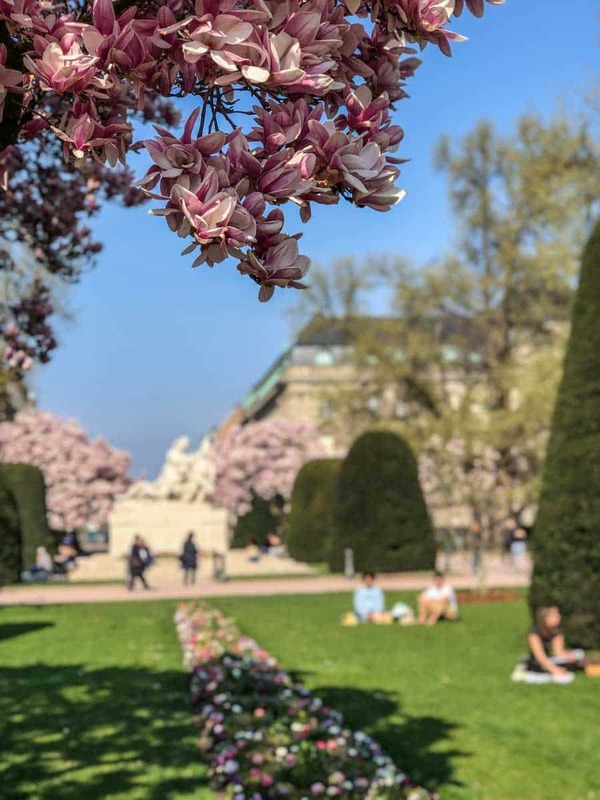 Formerly named “Kaiserplatz,“ the Place de la Republique looks absolutely stunning in spring (and I am sure at any time of the year) with all the magnolia adding so much color to the area. 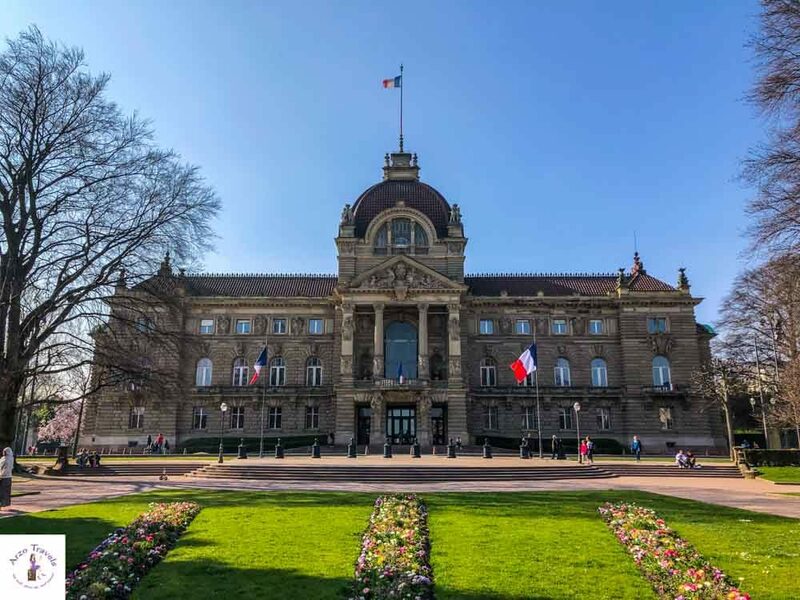 In the middle, you will find a memorial building (erected in 1936), and there are governmental and imperial buildings, like the University Library, the Palais du Thin, and the National Theater, too. This was the perfect place to relax and end the day before Puppygak and I headed back to the hotel (you can just lay down on the lawn and don’t have to sit on the numerous benches, so bring a little blanket, a book, and/or a drink to top off your day here). I think that day 1 in Strasbourg is already pretty great, but of course, if you have two days in Strasbourg, it is even better. 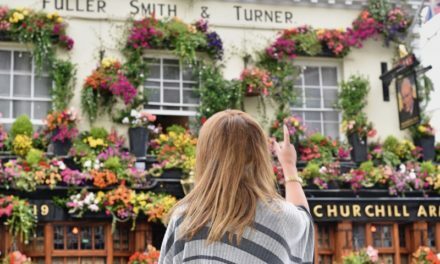 I have some tips on how I spent my second day and what I recommend, but I know that politics and political institutions are not everyone’s cup of tea. So, I have a few alternatives for you. The political EU institutions are located northeast of Grande Ile (including a lovely park). If you want to take guided tours of these institutions, you need to book them in advance. I was traveling with my dog and knew I had no chance of any guided tour. There is free parking on the side streets on Sundays and in the evening/night). Since it is located farther away, you can either drive or take the tram (tram E), which stops conveniently close to the institutions. The area is lovely. Though I did not do any tour, this part of Strasbourg is so different from what I saw the first day. Here, there are so many important institutions that affect our lives. So, even without guided tours, you can just walk around (there is a lot of greenery everywhere, so it’s great for walking and resting) and see where important decisions for the European Union (and also for many other places in the world) are made. For the end of the day, I suggest visiting the Orangerie Park (also located in the Neustadt District, but a bit farther). Orangerie Park is also very popular with the locals -, especially in the warm summer months. Even Empress Josephine flocked here once upon a time. Now, you can rent boats and enjoy time on the water, take strolls, watch the storks (there is also a little zoo), and end your second day in a relaxing way. There is also a big playground, so if you are with kids, you surely need to come here. It contains one of the finest collections of medieval art in France, spanning seven centuries. 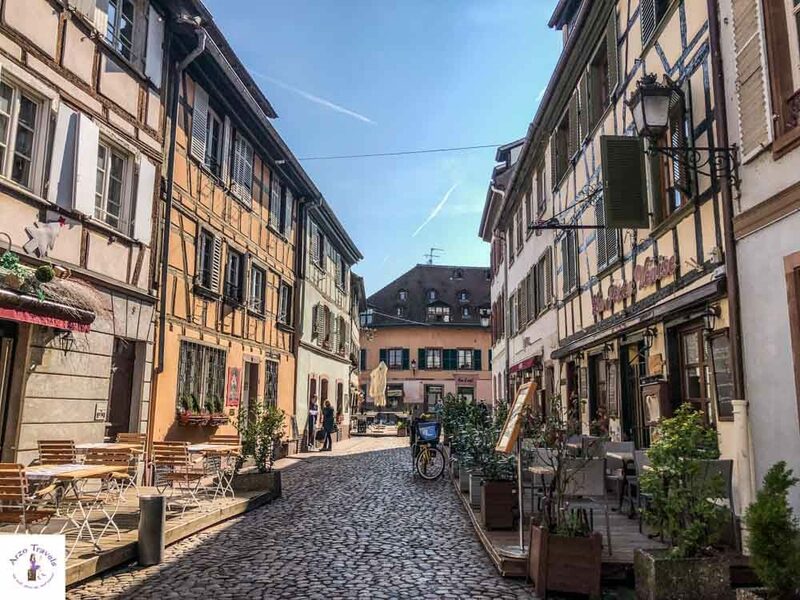 Hopefully, this Strasbourg guide with tips on what to do and see in Strasbourg helps you planning your perfect Strasbourg itinerary – whether you stay here one or two days.